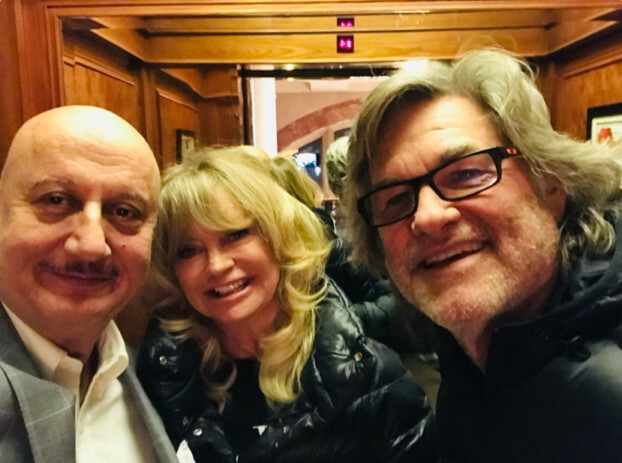 Veteran Indian actor Anupam Kher met Hollywood stars Goldie Hawn and Kurt Russell and described it as a “beautiful encounter”. Kher on Thursday posted a photograph with Hawn and Russell, whom the 63-year-old called “fantastic actors”. “It was such a pleasure to meet the golden couple of Hollywood — Goldie Hawn and Kurt Russell. Apart from being fantastic actors they are also delightfully wonderful people. Beautiful encounters, an Indian actor in US,” he captioned the image. Russell and Hawn, who are married to each other, have worked together in movies such as ‘Overboard’, ‘Swing Shift’ and ‘The One and Only, Genuine, Original Family Band’. Kher is now gearing up for the second season of the medical drama series ‘New Amsterdam’.